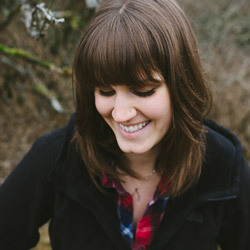 Amber is a show junkie and hopeless romantic living out her passions as a music and wedding photographer in the Seattle area. She has wielded her camera at festivals and live shows for The Seattle Weekly, iheartradio, and KEXP, contributes to numerous local blogs, and is an in-house photographer for Neumos and Barboza. She likes her coffee black, her whiskey neat, and has a soft spot for Thom Yorke's dance moves.